As with all terms and conditions, these get a bit technical and we’re sorry if they sound rather formal. However, they are pretty standard and designed to enhance your e-shopping experience and make it as easy and secure as possible. The terms and conditions apply to the use of the latitude57.net website. By placing an order with us, you are agreeing to accept these terms and conditions. Please note, these terms and conditions can potentially change at any time, and it is up to you to check these terms and conditions regularly before ordering products in case there are any changes. If you do not agree with the terms and conditions set out below, you should not use or access the website. If you have any queries relating to our terms and conditions, please contact us before placing an order. 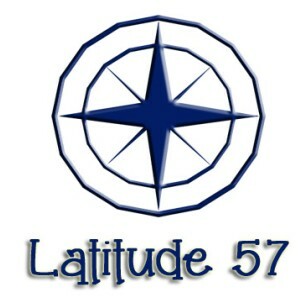 latitude57.net is the website of Latitude 57, Badachro House, Badchro, Gairloch IV21 2AA. The following terms and conditions will apply between you and Latitude 57, when you buy an item from latitude57.net. The terms do not affect your statutory rights. Your contract for purchases made through latitude57.net is with Latitude 57 and you undertake that all goods ordered by you are for your own private and domestic use only and are not for resale. You warrant that all details you provide to latitude57.net for the purpose of ordering or purchasing goods are true, accurate, current and complete in all respects; and that the credit or debit card you are using is your own and that there are sufficient funds in your account to cover payment of the product(s) ordered. It is a crime to use a false name or a known invalid credit card to order. Anyone caught deliberately entering an incorrect or fictitious order will be prosecuted to the fullest extent of the law. Latitude 57 tracks the electronic 'fingerprints' of every order placed on latitude57.net to enable us, and all legitimate crime prevention and prosecution authorities, to trace individual users engaging in criminal activities on or using our website. You agree that if you break these Conditions, or any liabilities are incurred arising out of your use of this website, you will be responsible for the costs and expenses that we or our employees, agents and suppliers incur as a result of the breach, including reasonable legal fees (if applicable). You will remain liable if someone else uses your shopping account and/or personal information unless you can prove that such use was fraudulent. Availability information for products is listed on each individual product description. If latitude57.net does not have enough stock to deliver the goods you have ordered, we will refund your credit or debit card and contact you to inform you when the items are back in stock and ready to be dispatched. All prices listed on latitude57.net are correct at the time of entering the information, however, we reserve the right to change prices of any product at any time. Prices do NOT include sales tax as Latitude 57 is not presently VAT registered (as of January 2019). We aim to cover all areas with our standard 2nd class Royal Mail delivery service, but unfortunately it cannot be guaranteed in certain areas. These include Northern Ireland, Isle of Man, Channel Islands, and Isles of Scilly. As we are based in the Scottish Highlands and Islands, deliveries can take up to two days longer to arrive. At present, gift vouchers can only be redeemed and purchased in store. If you have placed an order but then wish to change or cancel it, please contact us as soon as you can, as orders are processed quickly. We will try our best to make any changes but we cannot guarantee that we will be able to do so as the order may already have been processed. In such cases, you may have to wait until you receive the order and then follow the normal Returns procedures. Once we've heard from you that you wish to cancel an order, any sum debited to us from your credit or debit card will be re-credited to that credit or debit account within 14 days of your order, provided the goods you return are in the same condition that they were when delivered to you. You will be liable to any charges incurred when returning the goods to latitude57.net, unless the return is as a result of an error on our side. If you are in the European Union and you cancel your order within fourteen days after the day you get your goods, and you cancel the whole order, we will refund the standard postage and packing costs you paid as part of that order (if any), in accordance with the Distance Selling Regulations. If you paid for premium or express delivery, we will only refund the cost of standard delivery. You will have to pay the costs of sending the order back to us. We will not refund any postage and packing charges if you cancel after the fourteen days allowed under the Distance Selling Regulations or if you only cancel part of your order (although you still have three months to return your goods and receive a refund for the cost of the goods). We operate a no–quibble returns policy if you return an item within 30 days of receipt, we’ll give you back the amount you paid for the item (see postage and packing cost terms) or offer an exchange, whichever you prefer. We cannot accept returns on earrings unless they’re actually faulty. latitude57.net will not pass on your personal, credit or debit card details to any third party. We will never ask for personal details via email. If you receive an unsolicited email asking you for your latitude57.net log in details, please contact us immediately. If an error is discovered in the price of the goods that you have ordered, we will inform you as soon as possible. We shall be under no obligation to fulfil an order for a product that was advertised at an incorrect price. In the event that you order an item and the price published on latitude57.net is incorrect for any reason, we will email you to inform you that we have not accepted your order, and that your order has been cancelled. You will be advised of the correct price of the subject product. You may re-order it if you wish. If you have already paid for the goods in the circumstances described in this clause, we shall refund the full amount within 30 days of the date of order. Should you choose to re-order at the correct price, a separate transaction will be posted to your credit card. In the unlikely event that you receive goods which were not what you ordered or which are damaged or defective, or are of a different quantity to that stated, we shall make good any shortage or non-delivery, replace or repair any damaged or defective goods, or refund to you the amount you paid for the goods in question provided that you notify us of the problem in writing at the address stated in the confirmation email within 14 working days of delivery of the goods plus return the goods to us, unless we inform you that return is not necessary. This provision does not affect your statutory rights. All rights, including copyright, in the content of the latitude57.net web pages are owned or controlled by Latitude 57. In accessing latitude57.net web pages, you agree that you may only download the content for your own individual and non-commercial use. You are not permitted to copy, broadcast, download, store (in any medium), transmit, show or play in public, adapt or change in any way the content of the latitude57.net web pages for any other purpose whatsoever without the prior written permission of Latitude 57.